1500 Striking images, quality printing, precision interlocking, robust pieces and quality materials. 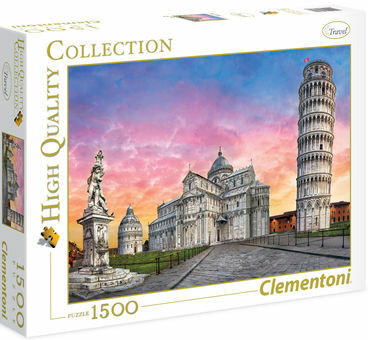 This is Clementoni High Quality Collection: a stylish range of jigsaw puzzles, designed for those with an eye for detail. Clementoni has always focused on the company's environmental impact, making extensive use of recycled materials and avoiding polluting elements.